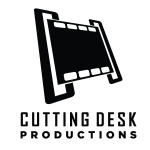 Cutting Desk Production is a Miami based videography company founded in 2011 specializing in weddings, promotional and commercial cinematography. We invite you to spend some time on our site and view some of our films. If what you see resonates with you please contact us and we will be more than happy to answer any questions you might have.